Lakeshore Baptist Church before and after Hurricane Katrina. Mine and my family’s prayers are with you and yours. I am very sorry to see the devastation that befell your church. If there is anything I can do, please do not hesitate to contact me. Don, my thoughts and prayers are also with you! Tears filled my eyes as I thought of you and others whose lives have been changed so much by the hurricane. This is truly your “day of trouble,” but what a great promise from God’s word! You’ll continue to be in my prayers. Don I was just reaching for a book that you recommended to me a long time ago, and it hit me…were you able to save your library in the evacuation? Did you have your computers all backed up? Wow, I am so sorry to hear this. You and your family….and church are in my prayers. I took the liberty of posting these pictures at our site. We are working to inform believers how they can help. Please know that we are praying for you, your family, and your church. Do you have a PayPal account tied to your email? If so, let us know what it is. It may be that some of us who have read your posts could contribute via Paypal. Don – we are praying for you and your church family. Don, like everyone else – we are praying for you all. When time allows we would love to hear what God has been doing in and through the people at Lakeshore. Our folk here in Rochester will be praying for you and the folk at Lakeshore. We are having a small retreat this weekend and I plan to take the material that I printed out from your website to share with them. This makes our prayers more personal. I’ve blogged you for west coasters to see, pray, and pray again. Don, I am Cindy Swanson’s sister. My husband is a pastor here in Texas. I was especially moved by these pictures because our little church looks very similar to yours. I know how much a facility can mean to you and your flock, but I know God can restore it. What a wonderful opportunity for God to work a miracle and show His faithfulness. Our prayers at Faith Baptist Church in Round Rock, Texas will be with you. 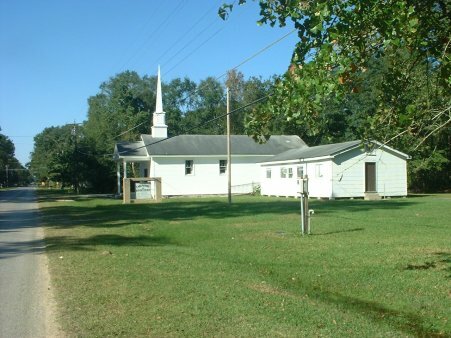 I’m in my 16th year as Pastor of Labette Baptist Church, located in a rural area of SE Kansas. From the onset of this terrible disaster the Lord impressed upon me that there would be a church like us that would be completely demolished and need our support. 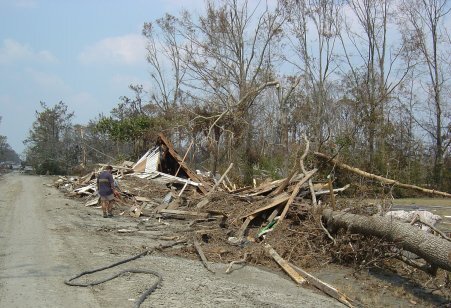 After seeing your pictures of the devastation, I believe you may be the one the Lord was discribing to me. Please let me know what we can do for you. Are you planning to rebuild? We have men that are well-equipped and experienced in building. If it’s the Lord’s Will, we could come and help you. Tentative plans have been made for a group of us to be in the Biloxi area through Franklin Graham’s Samaritan’s Purse Organization the early part of October. Maybe we could swing by and see what your needs are and then organize another group to come down at a later date. Let me know. May the Lord bless you; we’ll keep you in our prayers. Our hearts & prayers go out to you. Keep us posted on how we can help. I have posted information regarding your devastation on the Historic Baptist Symposium. I am praying for you and your church. Last night I returned from a short mission trip to Lakeshore Baptist Church. Please know that although the buildings were destroyed, the faith of this congregation was not! The temporary facility is up and services continue. Work goes on. Food and basic supplies are distributed Monday – Saturday from the church grounds. Much is still needed. This tiny community of believers is a lesson in faith for all of us. They continue to need our support, our donations, and our prayers. Without a doubt they will rebuild and spread the Good News.